Opel’s 7 in 17 product initiative has already proven to be quite fruitful with the revelation of the Crossland X and Grandland X crossovers and the Opel Insignia Grand Sport and Insignia Sports Tourer. Opel has shed more light on the third offering in its Insignia lineup: the Insignia Country Tourer, the off-road-minded wagon with all-wheel drive and plenty of style. The Opel Insignia Country Tourer will be up for pre-order in June and is scheduled to hit the streets after it makes its world premiere in Frankfurt this September. Though that’s still quite a ways off, Opel spilled some of the goods about the Country Tourer, revealing some of the new features that it hopes will make its wagon a hit this spring. 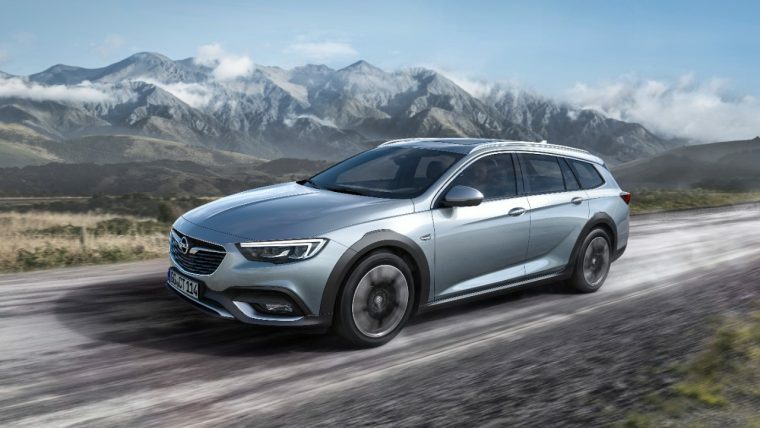 “The Country Tourer is the perfect choice for all those who want to combine ultra-modern connectivity and assistance systems along with the roominess of the new Insignia with individual styling and off-road qualities. The adventurous-looking station wagon is the ideal car for all athletes among Insignia fans who simultaneously love a more rugged look,” said Peter Christian Küspert, Opel Vice President Sales and Aftersales. Like the Insignia Grand Sport and Insignia Sports Tourer, the Opel Insignia Country Tourer uses new lightweight architecture to improve driving dynamics without sacrificing spaciousness. Despite being lighter than the outgoing Country Tourer, the next-gen model gets an additional 20 mm of ground clearance and a wheelbase that is stretched by an additional 92 mm. The new FlexRide chassis provides improved handling and performance, and all-wheel drive with torque vectoring ensures optimum control in inclement weather. The Opel Insignia Country Tourer will also be offered with a number of engine options and an available eight-speed automatic, all of which will likely be elucidated more thoroughly between now and the order banks being opened in June. 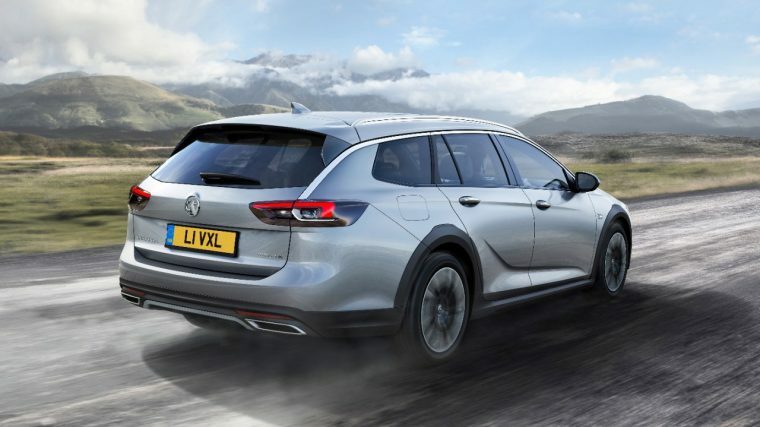 As expected, the Opel Insignia Country Tourer will be offered by Vauxhall in the UK, and it will also be sold in Australia as the Holden Commodore Country Tourer.